There will be plenty of competition at linebacker when the Iowa Hawkeyes open spring drills on Wednesday. Josey Jewell, Bo Bower and Ben Niemann are gone from last years team that finished 8-5 and won the Pinstripe Bowl. That trio accounted for 306 tackles in 2017. Iowa coach Kirk Ferentz who says the first chore is to find the three best linebackers then figure out where to put them on the field. Iowa lost junior center James Daniels and junior corner Josh Jackson to the NFL Draft. That will leave next year’s team with an unusually small senior class. Iowa’s spring game is April 20th. 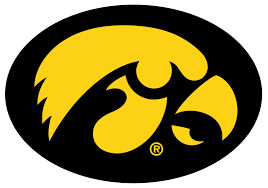 Two players are leaving the Iowa basketball program. Todd Kimm reports.